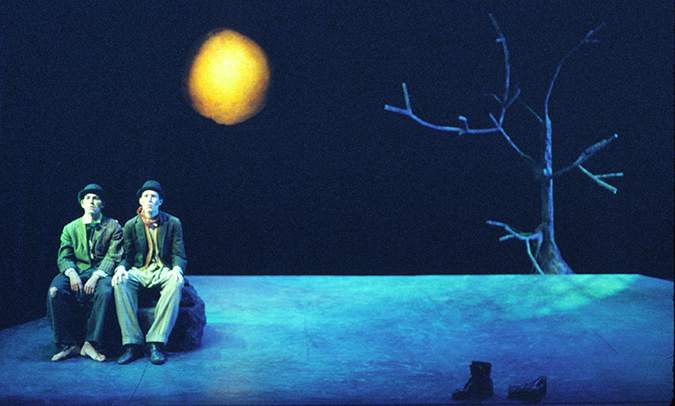 I recently helped a student at my university’s writing center talk through her approach to Samuel Beckett’s “Waiting for Godot” for her class on the theme of “action.” I love the play, but I’ve never taught it, and didn’t want to misguide the student with my own views on it when they might be at odds with whatever her professor was expecting. Usually students arrive at the writing center with a draft, something to work with and on, to use as an example and a starting point for more writing, so this session was unusual in that it took the form of my asking her questions about action and repetition, about Aristotle and Sartre, about theatre and anticipation, about absurdity and meaning. She’d say things. I’d write some down, and then I could hand her back her own words—perhaps curated a bit—for her to reframe into a thesis. It was a fun and mind-bending exercise, but also exhausting. I felt like the two of us were the Vladimir and Estragon of college writing, waiting for the arrival of knowledge, ever imminent, promised, but elusive. In the middle, I sighed. “I can’t go on.” <beat> “I’ll go on.” We laughed. This contemplation of waiting, of repetition, of ambition and meaning, resonated with feelings I’ve been having about this blog since the election. The presidential election didn’t cause these feelings, but the capstone on despair which are the words “President Trump” cast a pall on everything. My work felt superfluous in the arriving political environment—literature, comics, teaching, music, it all felt small and meaningless. In the lowest moments it feels like an exercise in repetition to the point of absurdity. And perhaps it is. Perhaps what I have to offer—despite my strong belief in the power of world-making and imagination, identification and empathy, inclusive narratives as visions of a-world-that-could-be even as they critique the-world-that-is—makes no actual difference to our understanding of lived experience. But, to the degree my classroom and my blog remain spaces where I can model the values that matter and work to articulate and confront the difficulty of living with difference rather than retreating from it, I will go on. That sounds really dramatic, but despite 2016 being universally considered the shittiest year on record by most of the Western World, my worry is that our transparently hyperbolic overwrought response to this year will sting in our memories come 2017’s inevitable tragedies. But despite my pessimism, I keep looking ahead to 2017 and what that means for the work done here on The Middle Spaces. The tradition of the “Year-End Meta Post” began in response to my distaste for the year-end retrospectives and “best of” lists that arrive this time of year. I cringe to consider the tsunami of year-end retrospectives about to hit the internet’s shores from my place in time writing this a couple of weeks out. Something about the self-congratulatory nature of year-end posts, articles and listicles turns me off. They are as unsatisfying as sitcom clip shows that invent some hackneyed framing device—the family snowed in on Christmas, the cast stuck in walk-in freezer, or the imminent reunion of characters who’ve fallen out—to fill out one episode’s time with snippets of previous episodes. Sometimes shows like Happy Days were on long enough to have multiple clip shows over their many seasons, and when replayed in back-to-back episodes in afternoon syndication you’d sometimes see a clip show that referenced an episode you had just seen moments before, for a sense of nearly instant nostalgia. Perhaps comic book reprint fill-in issues would be a better analogy, given the general focus on comics of this blog, but the TV clip show always felt cheaper. 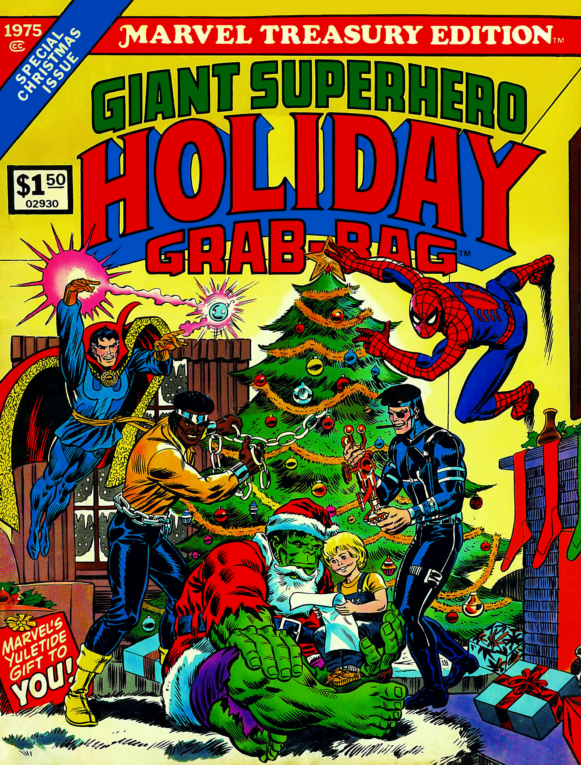 As a kid a comic reprint was providing a full story that might actually be new to me who only started regularly reading superhero comics in 1981, and my access to back issues was limited to what I could find for cheap at yard sales and flea markets. I could not say the same for Prime-Time TV. So, in these “meta” posts I try to subvert that tradition, by looking forward, or, if looking back, considering what wasn’t done, or what was incorrect or incomplete. 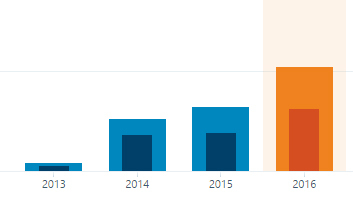 (Of course, in my listing of and linking to those previous examples I am failing in my effort to resist the ubiquitous urge toward year-end reflection, as I did when I tweeted at length about the growth of the blog a couple of weeks ago). In the tradition of looking ahead, instead of back, I was going to use the event of this meta-post to announce the start of a Patreon campaign for The Middle Spaces. Patreon is a crowdfunding platform that allows patrons to make scheduled monthly donations in support of creative endeavors. It is a site popular with writers and musicians, but two of my favorite podcasts (Jay & Miles X-Plain the X-Men and Titan Up the Defense) use it to raise funds and defray the cost of their labors of love. It also means that people can individually donate small amounts of money each month that taken together allow for things no one person would likely be able to afford. Patrons can earn a variety of rewards depending on how much they pay and how long they remain a donor. I want to pay writers. I know I will never be able to pay them much, but writing is not only work, it is hard work, and I know that sometimes being able to offer a nominal payment can make the difference in someone agreeing to write for the blog, and I don’t begrudge them that. They deserve it. For my own part, except for this blog, academic journals (which, by the way, should pay) or to help out a close friend, I no longer accept non-paying solicitations to write. Most importantly to me is that being able to pay guest writers hopefully means being able to include the writing of more diverse writers. I have made it no secret that since I began publishing guest posts I have worked to include writing by people other than the typical voices heard in comics studies and music criticism. And yet, a disproportionate number of guest writers have been white dudes. Sure, since I am Latino, the majority of the writing on here is already resisting those dominant voices, but I also want to amplify the voices of queer, black and brown, and women writers, and when it comes to that final category I have clearly failed so far. All you need do is look at our Guest Writers page to see that each and every one of them has been a man. This is not for lack of trying. Over the last couple of years I have solicited guest posts by a number of women I know who read and write about comics and other media, but it hasn’t worked out for a variety of reasons, though most commonly because of lack of time and inability to prioritize work that does not pay. I firmly believe that if you consider diverse representation to be a virtue you cannot leave it to chance, but have to proactively work towards it. Of course, I cannot guarantee that paying writers will definitely lead to a more diverse set of contributors, but it means I can ask a lot more people to write for The Middle Spaces without feeling like a jerk who undervalues their labor, and that I can move beyond the circle of people I immediately know because I am offering payment, not just introducing myself to ask for something. Widening the pool of possible writers means a wider range of writers. It is for this reason that I’ve decided to start paying guest writers an honorarium out of my own pocket. I can’t offer much, but then again even gigs writing for Apex and the Los Angeles Review of Books do not pay very much at all, so I think can manage some kind of monetary recompense three or four times a year. If this leads to the results that I am hoping for and that are best for the blog and discourse around popular culture, then I will launch the Patreon. I am just going to put my own money where my mouth is first. (Though in the meantime, if you want to sponsor a guest writer by donating the money for an honorarium, you can use my paypal account to send the funds). Of course, the more funds we can regularly count on the more we can offer to writers, so a future successful Patreon campaign would mean I could also go back and retroactively pay past guest writers for their contributions, and hopefully lead to having monthly guest writers in addition to the usual two to three posts a month that I write. So, I hope that by 2018-19 (assuming society hasn’t collapsed and I’m not living in a shed made of comics-filled shortboxes) launching that Patreon will make more sense. There are other things I hope to make available for The Middle Spaces. I am already paying out of pocket to remove ads from the site, but I’d love to move the blog to its own server space to allow for more customization for the site, including finer control over featured posts, a “featured guest post” section on the home page, and rollover citations (kind of like what you find on Wikipedia) for a more scholarly approach to using sources. I’d also like to occasionally throw some cash the way of Eric Gershik who proofreads every post that appears on The Middle Spaces out of a simple desire to contribute. I’d love to start a Middle Spaces Podcast. I’ve been wanting to do a series exploring Love and Rockets once I get someone to partner up with. The total yearly traffic at the Middle Spaces has grown each year since it was established. The blog’s regular readership has grown by about 30% in the last year, and I credit a lot of that to guest writers, like Robert Jones, Jr, whose “Humanity Not Included: DC’s Cyborg and the Mechanization of the Black Body” remains the most popular post the site has ever had, especially exploding after the magnificent Kate Beaton shared a link to it at the end of her satirical Cloak & Dagger comic strips. In recent years, comics creators like Kurt Busiek and Kelly Sue DeConnick have amplified posts on The Middle Spaces as well, leading to growth by tens of thousands of views each year. That may seem like small potatoes on the internet, but that is tens of thousands more people than will ever read an article in a scholarly journal. And speaking of scholarly, every year more and more instructors are using material from The Middle Spaces in their classes. The blog is poised to reach an even wider audience, and thus amplify even more voices. No matter what, The Middle Spaces will continue to have bi-weekly posts (sometimes more, sometimes less), occasional reviews, the new comics scholar interview series, The (re)Collection Agency, and three to four guest posts a year. Writing about comics remains one of my motivating factors in buying comics, especially back issues, performing my brand of critical nostalgia, and I while music remains the stepchild of the blog, I already have at least one song-related post slated for January, in honor of the inaugural whimper that marks the end of Pax Americana. So, consider this meta-post an expression of hope for the coming years, but remember that hope alone does nothing. This meta-post is a statement of purpose to work towards making The Middle Spaces count as representative of the world I want to see, however little that might actually mean. 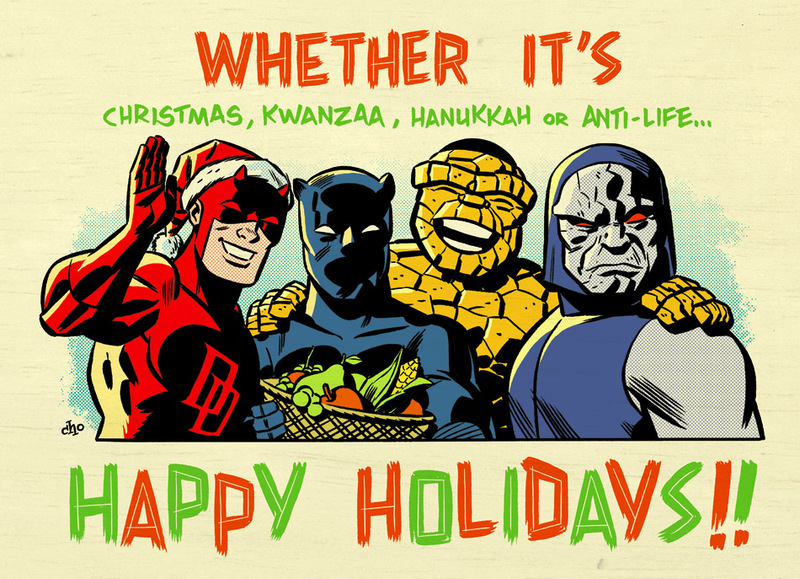 HAPPY HOLIDAYS, EVERYBODY! Look out for each other out there!